I lived three and a half years in South Korea. I spent one year in the medium-sized city of Tongyeong, on the mainland, and another two and a half years on the island of Jeju. Korea's small size and large population make it difficult to really feel like you're out in the wilderness, but with some exploration and patience, beautiful sights make their fair share of appearances. One more shot of a chestnut-flanked white eye. This time, we see him resting on a collection of berries. I watched him try to eat a few of them, but he was never quite successful, as he either dropped them, or never was completely able to remove them from the bush. 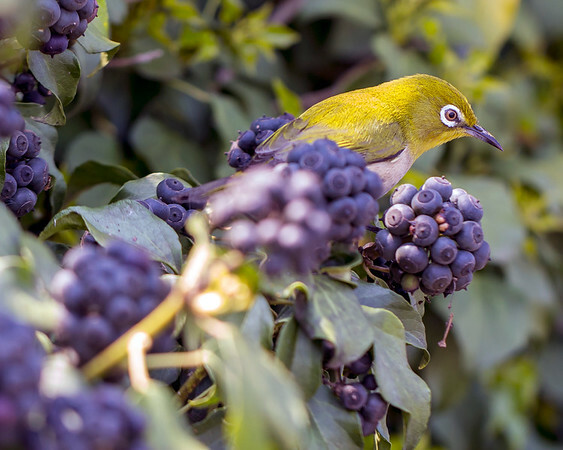 Judging by the size of the berries, this might have been a good thing – it sure looks like he'd choke on one if he were able to actually get it in his beak. Available in the following sizes (Rectangle A): 10x8, 14x11, 20x16. 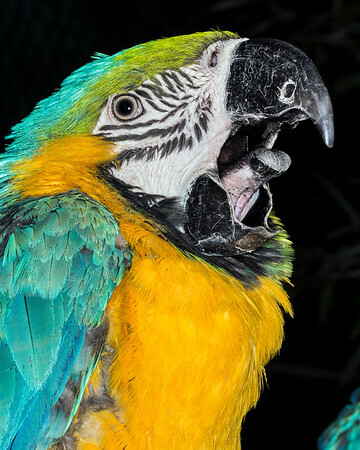 A sleepy blue-and-yellow macaw. Available in the following sizes (Rectangle A): 8x10, 11x14, 16x20, 20x24, 24x30. One of my best insect shots. 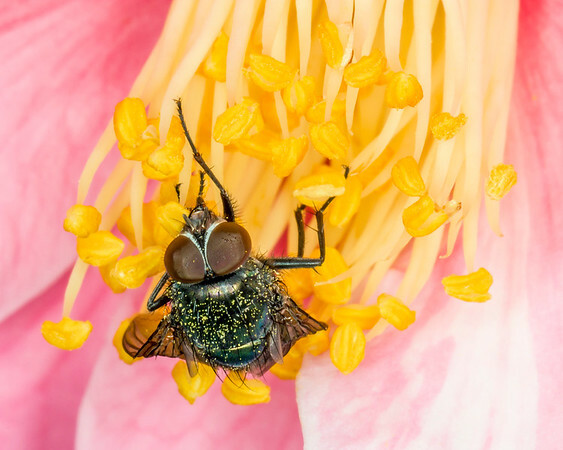 Check out the flecks of pollen on the fly's body, and the compound eyes. Available in the following sizes (Rectangle A): 10x8, 14x11, 20x16. Hallim Park is a great place to see flowers, trees, and pretty much any other kind of vegetation that grows naturally (or not) on South Korea's Jeju island. When I visited in mid-March, there were fields of tulips planted, but probably only something like 10% of them had yet opened up. Here's one that had. Available in the following sizes (Rectangle B): 12x8, 18x12, 24x16, 30x20, 36x24, 45x30. Not many cherry blossoms had yet bloomed on Jeju island by mid-March, 2015. But there sere several trees that seemed to have lofty ambitions of turning pink and white ahead of schedule, and I got this shot on one such tree, found outside Gengnaksa Temple. Available in the following sizes (Rectangle B): 12x8, 18x12, 24x16, 30x20, 36x24. A motorcycle ride with friends in mid-March, 2015, took us to Geungnaksa Temple on South Korea's island of Jeju. The monks that reside at the temple take wonderful care of the grounds, and the gardens there are quite nice. In addition to flowers, there were numerous potted cabbages growing here. 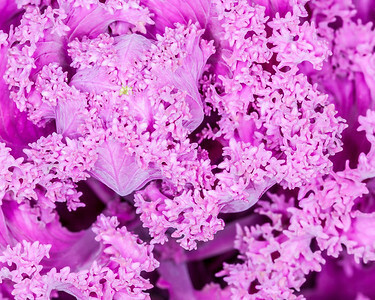 Some were white, some were this more otherworldly shade of pink. Available in the following sizes (Rectangle A): 10x8, 14x11, 20x16, 24x20, 30x24. Mt. Halla, or Hallasan, as it is called in Korean, is the highest mountain in South Korea. It rises to a peak elevation of 1,950 meters (6,396 feet), and interestingly, does not lie on the Korean peninsula. It is actually a volcanic peak on the island of Jeju. During the winter months, the upper regions are consistently blanketed in snow. Available in the following sizes (Rectangle A): 8x10, 11x14, 16x20, 20x24, 24x30. 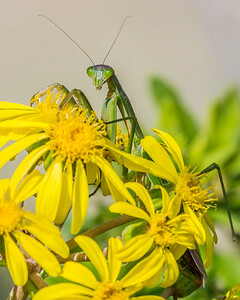 A fairly large praying mantis I found on a pot of yellow flowers right outside my apartment in Jeju, South Korea. Available in the following sizes (Rectangle A): 8x10, 11x14, 16x20, 20x24, 24x30. 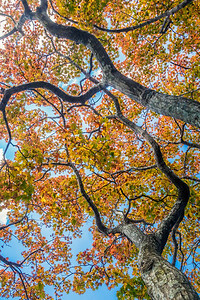 A maple tree letting us know that winter is rapidly approaching. Available in the following sizes (Rectangle B): 8x12, 12x18, 16x24, 20x30, 24x36. Cheonjiyeon Falls is an incredibly popular tourist hotspot on the Korean island of Jeju. 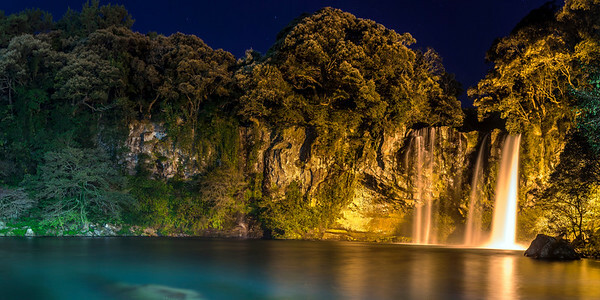 At night, the falls are illuminated by an orange light, which explains the otherwise inexplicable glow of the falling water. 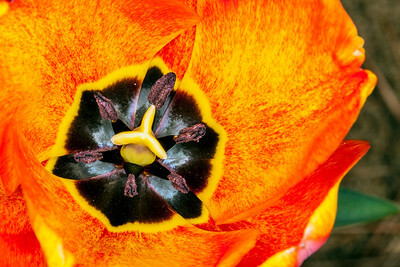 Available in the following sizes (Panorama A): 20x10, 24x12, 32x16, 40x20, 48x24, 48x24 Triptych (3 x 16x24), 60x30, 60x30 Triptych (3 x 20x30), 72x36, 72x36 Triptych (3 x 24x36). 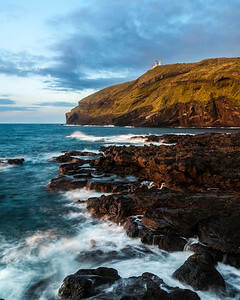 Udo is a small islet off the northeast coast of South Korea's Jeju Island. Although it occupies only 5.9 square kilometers (2.3 square miles), it is one of Jeju's most-visited spots, getting roughly one million visitors a year. Here we see the first rays of morning sun glancing off the volcanic rocks and cliffs that make up a great deal of the island. Available in the following sizes (Rectangle A): 8x10, 11x14, 16x20, 20x24, 24x30, 30x40. Daylilies are native to China, Korea, and Japan, and are commonly found growing along country roads on the Korean island of Jeju. 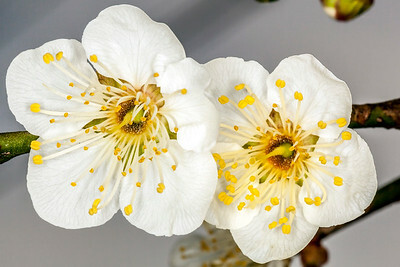 A given flower will only bloom for only a single day, but a given stem typically has the capability to produce several flowers over subsequent days. 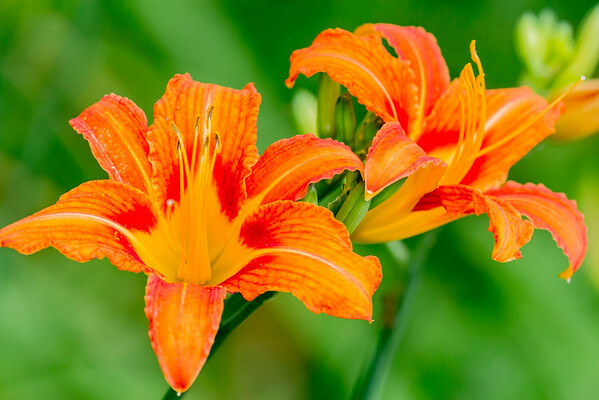 I shot these daylilies, which were two among hundreds, along side a country road as I took a summer drive. Available in the following sizes (Rectangle B): 12x8, 18x12, 24x16, 30x20, 36x24. 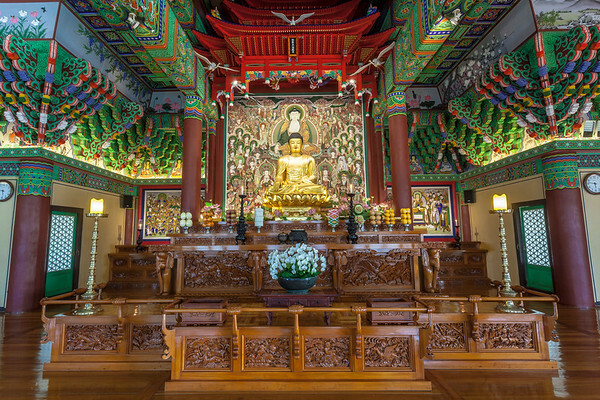 The interior of Geungnaksa Temple, on South Korea's Jeju Island. This temple is much like any other Buddhist temple in the area. Available in the following sizes (Rectangle B): 12x8, 18x12, 24x16, 30x20, 36x24, 45x30. 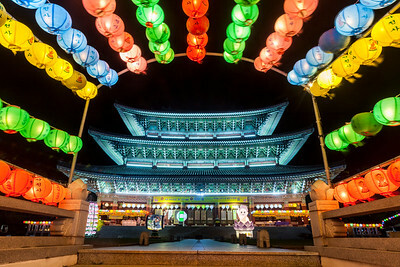 A corridor made of paper lanterns leading to Yakcheonsa Temple, illuminated to celebrate Buddha's birthday. Available in the following sizes (Rectangle B): 12x8, 18x12, 24x16, 30x20, 36x24, 45x30. Buddha's Birthday was always one of my favorite holidays while I lived in South Korea. I was an English teacher, so any excuse for a day off was always welcome, but I also loved to visit the Buddhist temples in the region, which would go all out decorating for this occasion. 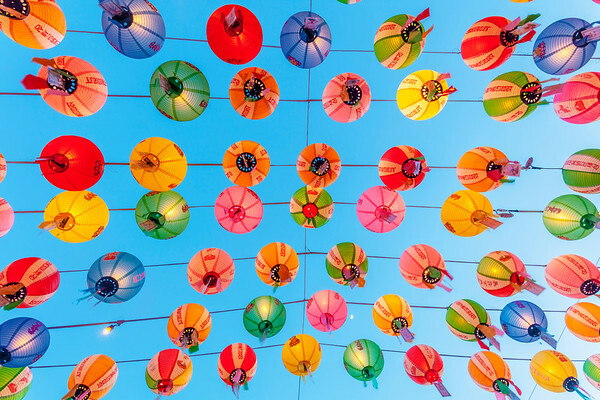 Traditional lanterns, like those shown here, would be put up and lit up at night. Available in the following sizes (Rectangle B): 12x8, 18x12, 24x16, 30x20, 36x24, 45x30. Some mandarin ducks, like the one here, migrate to the South Korean island of Jeju each winter. 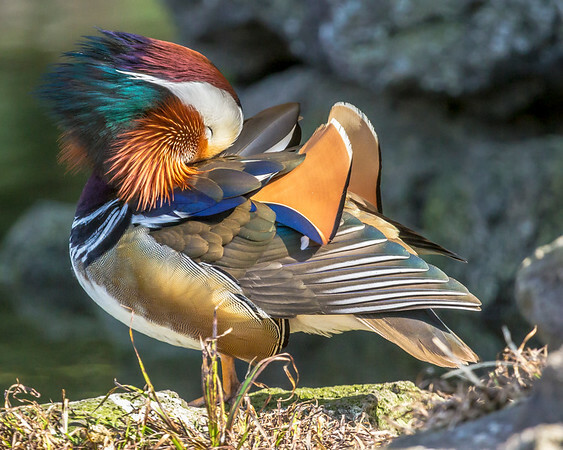 Mandarin ducks are quite rare, and among the most beautiful and recognizable ducks on the planet. Available in the following sizes (Rectangle A): 10x8, 14x11, 20x16, 24x20.